There’s something about the summer that calls for a little cleaning and organizing. We have kids’ artwork and photos from the school year, family documents and a disheveled filing cabinet filled with “important papers” – but in an emergency situation, would anyone else be able to figure out your filing system? Gather a year’s worth of bank and credit card statements along with details on any investments and retirement plans. Debt such as your mortgage, vehicles or other properties should also be included in the folder. And don’t forget to tuck in copies of insurance policies for your house and vehicles. Create a folder that includes such items as passport, birth certificate, social security card, marriage license/divorce papers, military discharge papers and any important medical documents (immunization records, for example). You may even consider a separate folder for each family member. It’s likely you have multiple accounts that require a password – everything from your email and Facebook to online banking and Amazon. You can keep a paper file of passwords in a secure location such as a safety deposit box or locked safe. Another option is to use a service where you can store all your passwords, such as 1Password or LastPass. Then, you simply store that password in a separate secure location. Create a single folder for your last will and testament, health power of attorney and living will as well as details on any life insurance policies. Also, include any pre-made funeral arrangements and even your wishes for the kind of funeral service you’d like to have or burial location. Once you have everything organized and labeled, find a secure place to store these files. Invest in a safety deposit box at your bank or a locked, fireproof safe for your home. You also may want to consider creating digital files of these documents and storing a flash drive in a second secure location (one at home and one elsewhere). Lastly, explain your system to someone else and provide them access. 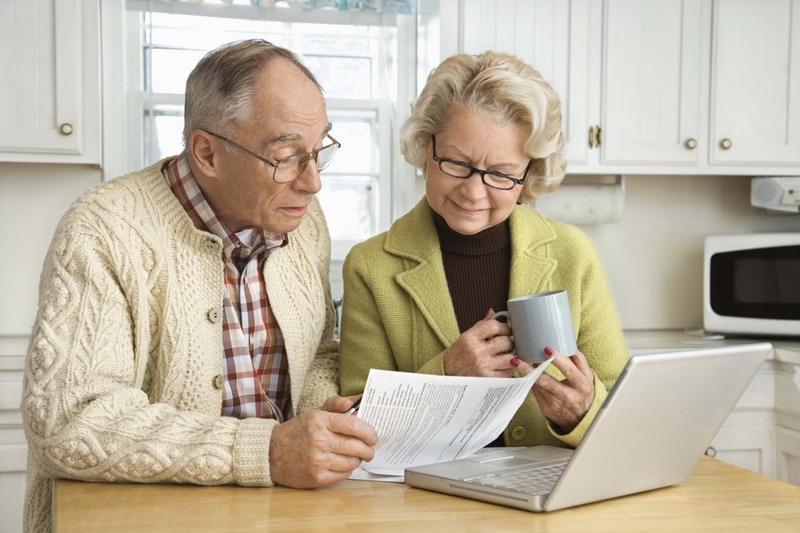 Certainly your spouse should be involved and help you get these documents together. Then, share the details with at least one other person – your grown children or a trusted family member or friend. If something happens to you, it will be easier for that person step in and make arrangements. Here in South Carolina, we’ve just entered hurricane season so this is a great time to get your documents in order in case of an evacuation like during last year’s Hurricane Matthew. In the event of an emergency, you don’t want to waste valuable time sifting through boxes to find the information you need. It might not be the most fun summer activity, but block off an afternoon this season to get all your paperwork in order. Then, you can get back to the business of enjoying summer. Need help planning ahead for end-of-life decisions? Consult experts like the team at Stuhr Funeral Home. A trusted name in funeral service for more than 150, Stuhr Funeral Home has the expertise help you pre-plan services, including online forms and resources. Together, they’re dedicated to providing the best and most professional care to help you take care of all the details that comes with pre-arranging services for yourself or a loved one. For more information, visit JHenryStuhr.com or call (843) 723-2524.